Having problems checking out? Contact Us. 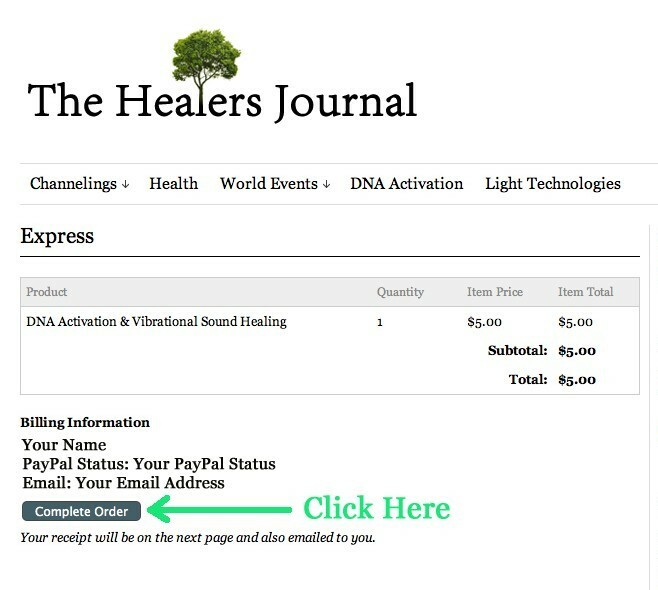 After using PayPal for your secure checkout, you will be returned to The Healers Journal where you will see a screen that looks like the screenshot below. Click on the ‘Complete Order’ button as indicated. You will then be taken to another page which will have a ‘Download’ link at the bottom of the page under the heading DNA Activation & Vibrational Sound Healing. When you click that link it will download the file to your computer into your downloads folder.